At VMworld Europe 2017, IBM and VMware, Inc. announced that more than 1,400 enterprises in nearly every industry around the world are extending their VMware environments to the IBM Cloud. Through the partnership, clients such as Honeywell International and Vodafone are using IBM Cloud’s global reach and cloud-native services, and the infrastructure and operational consistency of VMware Cloud Infrastructure, to create new business opportunities. IBM and VMware are also announcing new solutions to further the partnership and IBM is launching network control and visibility solutions from F5 Networks and Fortinet so that enterprises can continue to extend their VMware environments, as they are, to the public cloud. In 2016, IBM and VMware set out to tackle a pressing industry challenge: extending existing VMware workloads from on-premises environments to the cloud without having to retool operations, re-architect applications and re-design security policies. Enterprises are able to run their VMware workloads in the cloud and leverage IBM’s AI and analytics services as an extension of their VMware deployment. IBM Cloud for VMware solutions are available across IBM’s global network of nearly 60 cloud data centers in 19 countries. Client adoption continues to grow as enterprises such as the Performance Materials and Technology (PMT) Division of Honeywell International adopt these solutions. Honeywell, a global leader in designing and creating software-based systems to safely and efficiently operate complex industrial facilities,selected IBM Cloud as the foundation for its Open Virtual Engineering Platform (VEP), which enables users to build and test engineering processes in a highly reliable and security-rich cloud-based environment. By moving to the IBM Cloud, Honeywell seamlessly transitioned its VMware-based environment and is able to take advantage of existing tools, technologies and operational processes in the cloud. Honeywell is also able to leverage advanced data protection and security capabilities from HyTrust and Intel, both critical factors in the company’s decision to use IBM Cloud. Additionally,through a new agreement with IBM, Vodafone announced today that it is offering an international service that enables enterprises to support the movement of VMware-based workloads on a Vodafone Hosted Private Cloud to and from the IBM Cloud. Read the news release here. To extend the reach of IBM Cloud for VMware solutions, IBM and Dell EMC today announced an agreement to help accelerate cloud adoption by providing Dell EMC’s commercial customers access to VMware solutions on the IBM Cloud. Read the news release here. Adoption of VMware HCX Technologies: IBM is one of the first partners to adopt VMware HCX technologies. HCX technologies deliver seamless interoperability and application mobility between IBM Cloud and any VMware-based cloud, enabling large scale application migration and ongoing portability with zero application downtime or refactoring. HCX technologies will allow IBM Cloud customers to modernize data centers with the most current VMware SDDC offerings while maintaining business continuity, application uptime, network architectures and performance. Read the news release here. VMware Horizon Cloud Service: VMware Horizon Cloud is the next generation of virtual desktop and application cloud services from VMware. The VMware Horizon Cloud service offered by IBM Cloud will be made available in Q4 2017 to customers on the IBM Cloud. 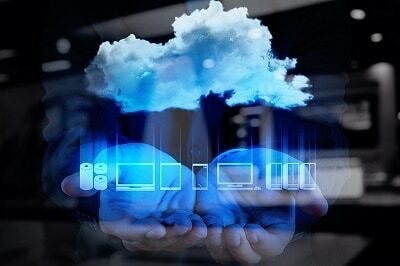 Horizon Cloud will be delivered as a fully cloud-hosted service managed end-to-end by IBM or a seamless hybrid solution using on-premises hyperconverged infrastructure to enable new use cases for desktops-as-a-service (DaaS). Certified Public Cloud Infrastructure for SAP HANA® on VMware on IBM Cloud: IBM today announced the availability of new SAP-certified bare metal servers for SAP HANA® platform deployments in the IBM Cloud and new configurations for VMware environments. Read the news release here. IBM Cloud is Now VMware Cloud Verified: IBM Cloud is one of the first of a new class of partners carrying the VMware Cloud Verified trust mark. VMware Cloud Verified identifies providers that fuel business growth by driving innovation, improving efficiency and lowering costs for customers as they transform application portfolios for a multi-cloud, multi-device world. Read more in this blog. To help clients have a consistent experience spanning on-premises environments and the public cloud, IBM is broadening its ecosystem of technology partners and introducing solutions from F5 Networks and Fortinet for full network traffic control and workload security capabilities. F5 Networks: In Q4 2017, IBM will make F5 Networks’ BIG-IP virtual suite of productsavailable in the IBM Cloud for VMware solutions portal. Enterprises will have the ability to order, deploy and configure the F5 BIG-IP virtual edition products for automated integration with VMware Cloud Foundation and vCenter Server on the IBM Cloud. This will offer enterprises the security-rich, intelligent network traffic management and application performance optimization for their most critical workloads. Read more in this blog. Fortinet:In Q4 2017, IBM will make Fortinet’s FortiGate-NGFW virtual appliance and bundled services available in the IBM Cloud for VMware solutions portal. Enterprises cannot afford to choose between security and maintaining a high-performance business infrastructure. FortiGate on the IBM Cloud will help maintain secure application availability by extending robust enterprise network firewall functionality into their hybrid cloud environments. Read more in this blog. IBM and VMware Partnership Accelerates Cloud Adoption 0 out of 5 based on 0 ratings. 0 user reviews. iPhone 8 and iPhone 8 Plus to reach Brightstar Telecommunication India Ltd.